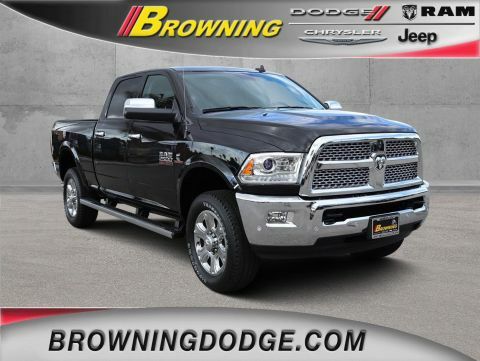 This Ram 2500 boasts a Intercooled Turbo Diesel I-6 6.7 L/408 engine powering this Automatic transmission. 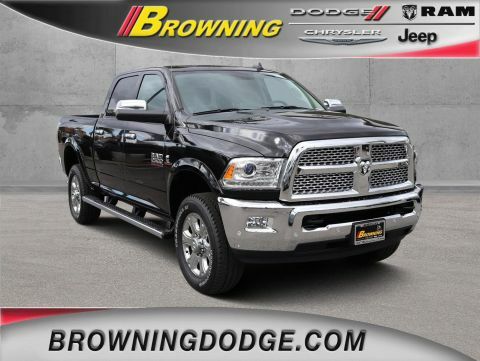 WHEELS: 20 X 8.0 SATIN CARBON W/CHROME INSERTS (STD), TRANSMISSION: 6-SPEED AUTOMATIC (68RFE) -inc: 3.42 Axle Ratio, TRANSFER CASE SKID PLATE SHIELD. 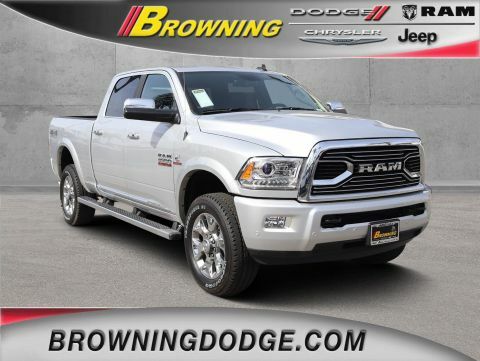 *This Ram 2500 Comes Equipped with These Options *QUICK ORDER PACKAGE 2FM LIMITED -inc: Engine: 6.7L I6 Cummins Turbo Diesel, Transmission: 6-Speed Automatic (68RFE), Body Color Fender Flares, Auto High Beam Headlamp Control, Rain Sensitive Windshield Wipers, Luxury Front & Rear Floor Mats, Chrome Belt Moldings, Instrument Cluster w/Display Screen, Remote Proximity Keyless Entry, Limited Decor Group, Leather Wrapped Grab Handle, Wood/Leather Wrapped Steering Wheel, Bed Cargo Divider/Extender, 4 Adjustable Cargo Tie-Down Hooks, Painted Front Bumper, Painted Rear Bumper, Limited Tailgate Applique 4x4, Limited Chrome Bodyside Molding, Luxury Door Trim Panel, Chrome RAM Tailgate Nameplate, RAM 2500 Badge, OFF ROAD PACKAGE -inc: Front Performance Tuned Shock Absorbers, Offroad Decal, Transfer Case Skid Plate Shield, Hill Descent Control, Rear Performance Tuned Shock Absorbers , RAMBOX DELETE, POWER SUNROOF, POWER FOLDING CHROME TRAILER TOW MIRRORS -inc: Trailer Tow Mirrors, MANUFACTURER'S STATEMENT OF ORIGIN, I/P MOUNTED AUXILIARY SWITCHES, ENGINE: 6.7L I6 CUMMINS TURBO DIESEL -inc: Cummins Turbo Diesel Badge, Current Generation Engine Controller, Diesel Exhaust Brake, Selective Catalytic Reduction (Urea), 180 Amp Alternator, RAM Active Air, DUAL ALTERNATORS RATED AT 440 AMPS, CTR STOP LAMP W/CARGO VIEW CAMERA. 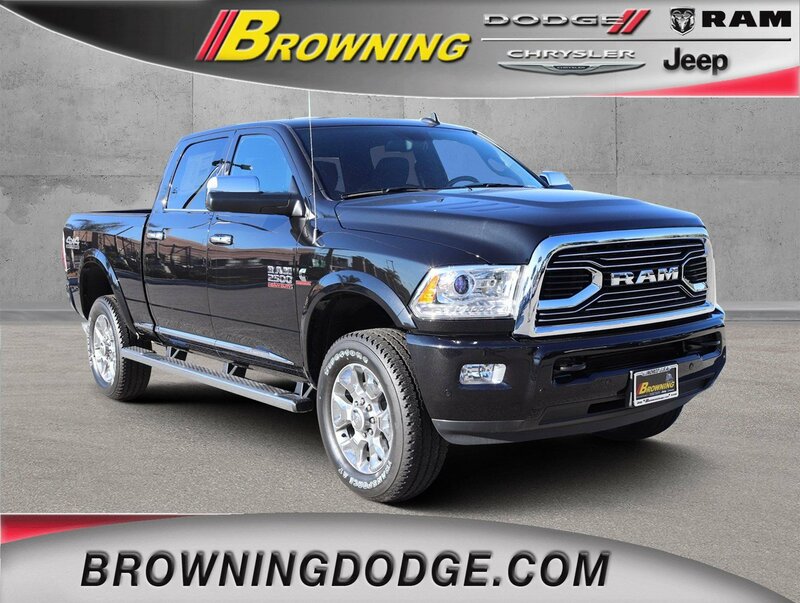 * Visit Us Today *For a must-own Ram 2500 come see us at Browning Dodge Chrysler Jeep, 1983 Hamner Ave, Norco, CA 92860. Just minutes away!